IMISCOE Seed Funding for research clusters - Call for Proposals - Deadline: December 1st. IMISCOE encourages scholars from the network to explore new opportunities for research, collaboration and publications. Therefore, it provides seed funding to the development of new research (by developing research proposals), joint publications or other activities around specific topics or new niches of research. Existing successful research clusters and standing committees are also encouraged to apply if they can clearly identify why further support from IMISCOE is needed for new activities. For more information on IMISCOE standing committees and research clusters, see www.imiscoe.org. IMISCOE is happy to announce the new representative, workshop committee and soundboard of the PhD network. 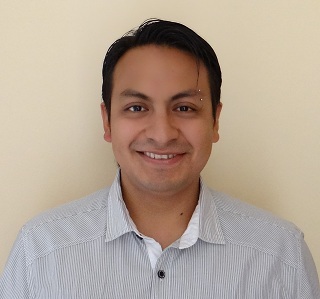 As of September 2015, Juan Francisco Alvarado has taken over the position of being the IMISCOE PhD representative. Next to the new PhD representative, there are three new members of the PhD workshop committee:Floris Peters, Maria Kranendonk and Silvia Silva. Finally the new PhD soundboard has 8 members: Elida Cena,Marion Fischer-Neumann, Sophie Hinger, Mark van Ostaijen, Ilona van Breugel, Giulia Raimondo, Kristyna Peychlova and Ludmila Kopecka. All manuscripts submitted to IMISCOE for consideration, will be submitted to a two-round review procedure. First, to be considered for publication in the IMISCOE-Springer Research Series, all manuscripts must be formally proposed to the IMISCOE Editorial Committee. This will provide an opportunity to see how the manuscript fits within the series as a whole and if submission of the full manuscript for a formal review would thus be relevant. Proposals must be formatted according to the standard IMISCOE outline. Special Issue entitled: "Family involvement and educational success of the children of immigrants in Europe. Comparative perspectives"